Lawyers representing the man accused of kidnapping and killing Morgan Hill teenager Sierra LaMar on Tuesday got their first chance to convince jurors that Antolin Garcia Torres is innocent. During opening statements, it became clear that defense attorney Al Lopez will go after DNA evidence, with the hope of raising doubt about Garcia Torres’ guilt – critical in a case where there's neither a crime scene nor a body. 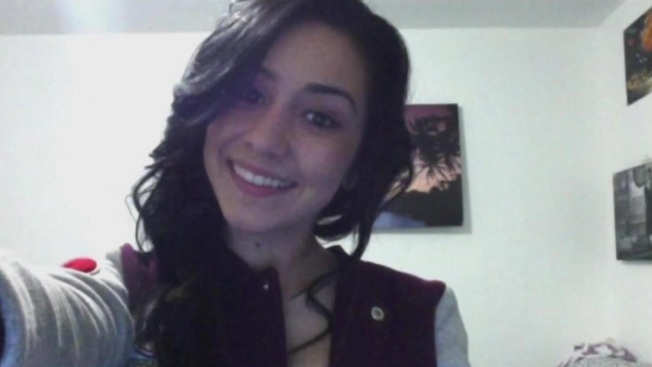 Lopez told jurors that sheriff’s deputies didn’t follow proper protocol when collecting clothing discovered inside the backpack of Sierra Lamar, who was 15 years old at the time of her abduction in March 2012. He also questioned why tiny glass beads from road striping found all over Sierra’s clothing were not found in the trunk of his client’s car. “You are seeing the defense start to undermine the prosecution’s forensic case and circumstantial evidence, and if they can do that, that will go a long way in casting doubt on the prosecution’s case,” said legal analyst Steven Clark. Earlier Tuesday, prosecutors played a video of one of Garcia Torres’ first interviews with sheriff’s deputies. Deputy District Attorney David Boyd wrapped up opening statements, noting that traces of Sierra’s body was found in Garcia Torres’ car. Prosecutors also called their first witness – the Santa Clara County sheriff’s deputy who responded to the initial call of a missing girl. That was nearly five years ago, and many of the people who spent months searching for Sierra came to the trial on Tuesday. “To have justice served and to have Sierra possibly returned to her family, that is a priority for all of us,” said search coordinator Roger Nelson. During the trial, jurors must also determine whether Garcia Torres tried to kidnap three other women in Safeway parking lots in Morgan Hill. Prosecutors said a stun gun was found with the suspect’s finger prints on the battery. The defense, however, claimed his prints were on the weapon because he likely handled the battery as a Safeway employee. More than 100 witnesses are expected to testify, and judging from Tuesday’s goings-on, the trial is going to be oriented around DNA evidence, Sierra’s cell phone and a rope found in Garcia Torres’ car.